Since 1997, the Center for Courage & Renewal has helped foster personal and professional renewal through retreats that offer the time and space to reflect on life and work. Developed with author, educator, and activist Parker J. Palmer, PhD, and the Fetzer Institute, this approach was initially created to renew, sustain, and inspire public school teachers. Educators remain at the heart of our mission, but retreats are also offered to those in serving professions such as health care, clergy, and law, as well as to anyone yearning to become more wholehearted in their life and work. A private operating foundation that supports research, education, and service programs exploring the integral relationships among body, mind, and spirit. In the wake of September 11, 2001, the Fetzer board created a new mission for their work to foster awareness of the power of love and forgiveness in the emerging global community. Inspired by the vision of John E. Fetzer, the Institute's guiding purpose is to awaken into and serve Spirit for the transformation of self and society, based on the principles of wholeness of reality, freedom of spirit, and unconditional love. The Institute believes that the critical issues in the world can best be served by integrating the inner life of mind and spirit with the outer life of action and service in the world. Jossey-Bass publishes books, periodicals, and other media to inform and inspire those interested in developing themselves, their organizations and their communities. Jossey-Bass’ publications feature the work of some of the world’s best-known authors in leadership, business, education, religion and spirituality, parenting, nonprofit, public health and health administration, conflict resolution and relationships. Publishing nearly 250 new titles each year, Jossey-Bass seeks to honor and affirm the values, purpose, and mission that inform our publishing decisions and our professional relationships. In 1999, Jossey-Bass was acquired by John Wiley & Sons, Inc. and is now an imprint of Wiley. 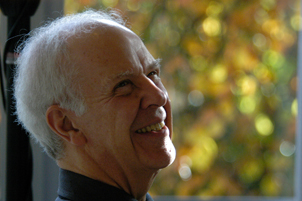 Parker J. Palmer is included in The "Living Spiritual Teachers Project" -- Spirituality & Practice -- that provides background on each teacher, a bibliography, and a list of his or her distinctive contributions to the field in order to help individuals to identify living teachers whose wisdom can augment their spiritual journey. Krista Tippet, host of Speaking of Faith from American Public Media, explores human and spiritual aspects of economic downturn with a wise public intellectual of our time, the Quaker author and educator Parker Palmer. He works with people from all walks of life at the intersection of spiritual, professional, and social change, and stresses the need to acknowledge the inner life of human beings as a source of reality and power. Bill Moyers sits down with Parker J. Palmer for a conversation about maintaining spiritual wholeness even as the economy and political order seem to come apart. YES! Magazine asks the question “ In the work you do each day, how do you distinguish truth from fraud, build community, and speak up for what’s right?” and looks to author Parker Palmer for the answer. A national conference with Parker J. Palmer on habits of the heart and the future of American democracy.